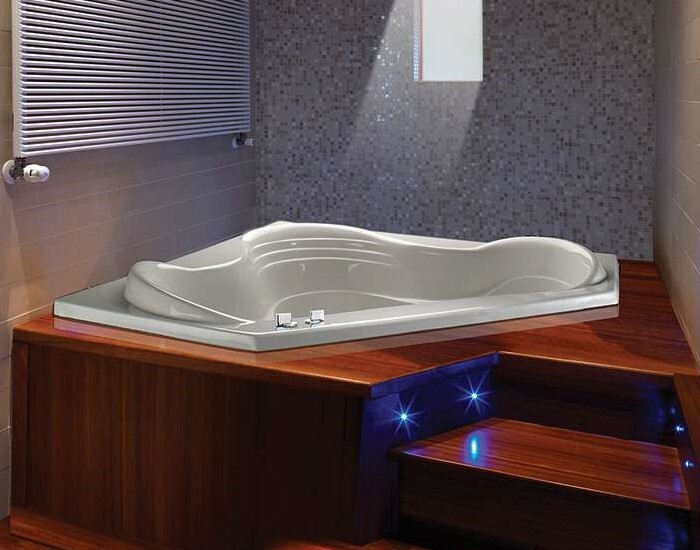 Corner 60" x 60" Drop-in Bathtub Beautiful and deep, Cayman 4 offers a comfortable, deep hiatus for relaxation. Corner tub with armrests, raised neck rest and room for 2 bathers. Choose your perfect bath: Soaking Tub, Heated Soaking, Air Bath, Whirlpool or Combo Whirlpool-Airbath. 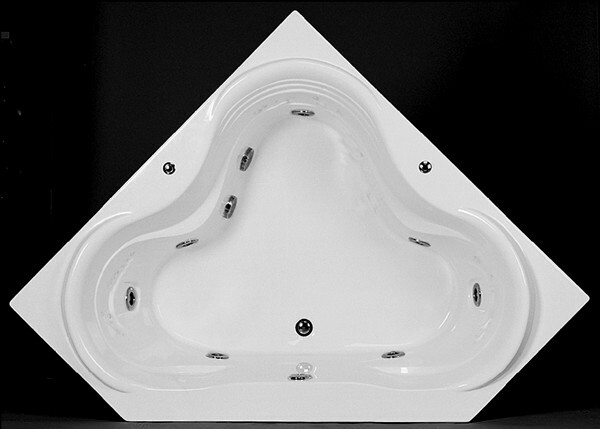 Tub Size: 59.875" x 59.875" x 24.25"
Bottom Interior: 48.25" x 37"